Whether you’re a lawyer on-the-go in St Petersburg or a busy stay-at-home mom in Seminole, you have dozens of things competing for your time and attention each day. With dry cleaning delivery from Sun Country Cleaners you can remove drop offs and pick ups from your to-do list and worry about more important things. Simply sign up, and leave your garments on your front porch and we’ll swing by and pick them up. 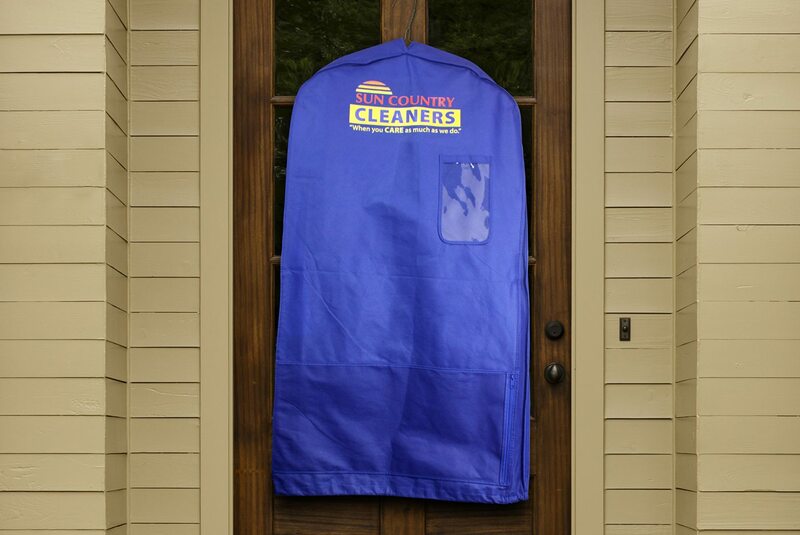 When your items are clean, we’ll bring the dry cleaning to your door, saving you the trip to one of our locations. You can even leave your clothes out on a specified day, so you have steady supply of freshly dry cleaned clothes with minimal worry. That makes dry cleaning delivery even easier and provides the professional results you want. No matter which of the laundry services you choose, you can take peace of mind in the fact that we’re treating your garments as our very own. Unlike other cleaners, we read the care label on each item and clean it accordingly, ensuring that it not only looks great when you pick it up, but also many years down the road. If you’d like more information on our dry cleaning delivery or any of our other services, contact us today or drop by and see us. We have more than 37 locations in Belleair Bluffs, Seminole, Palm Harbor, Largo, New Port Richey, and the surrounding area.